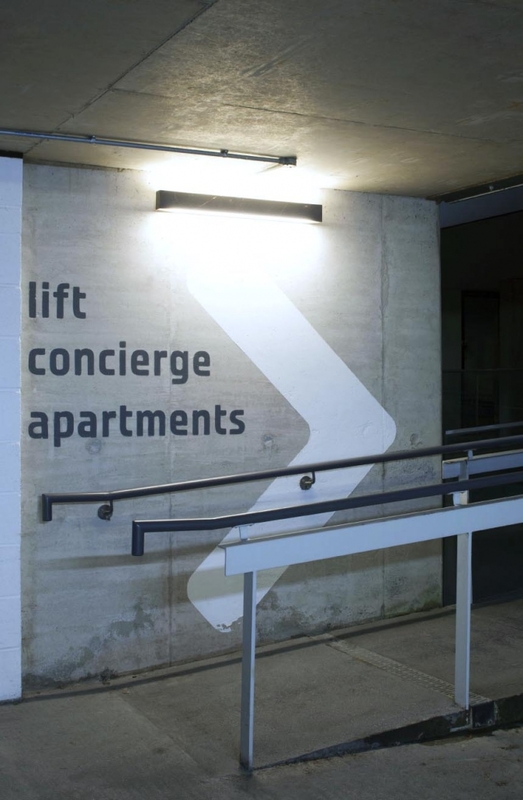 Ensuring that your car park is illuminated sufficiently makes it safer for drivers and pedestrians to visibly see other cars, road markings, entrances, exits, lifts, corridors and stairwells. 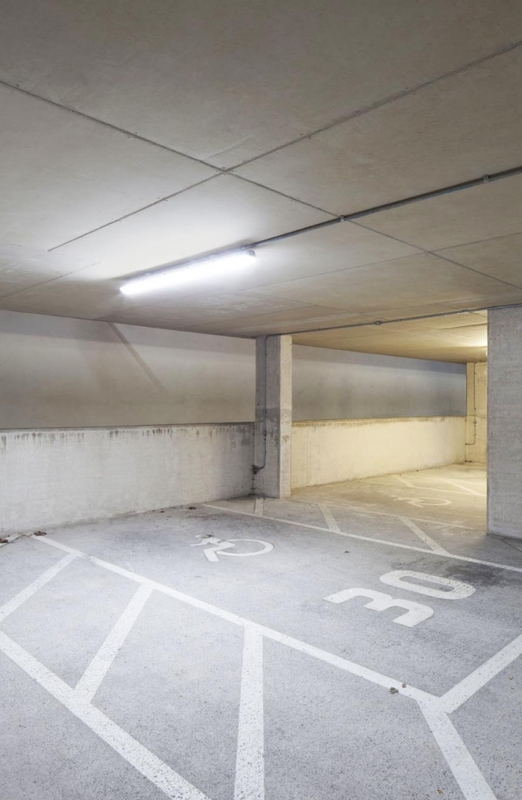 Fluorescent and CFL lighting commonly found in car parks deliver poor, dull and sometimes ‘dirty’ lighting and are prone to flicker, much to the annoyance of drivers, passengers and operation teams! 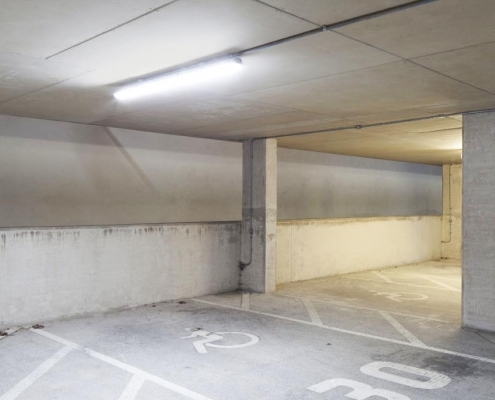 With our industrial LED lighting range, we have plenty of super-bright LED replacements for car parks including T5 LED Tubes, T8 LED Tubes, LED Battens, LED SON lamps and 2D LED Bulkheads. 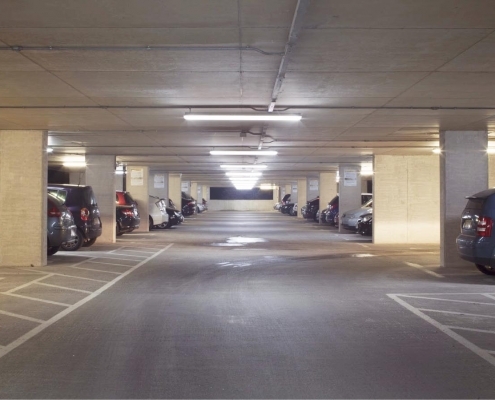 The Goodlight LED car park range delivers up to an incredible 140Lm/W brightness and will save you up to 85% in energy savings, plus there is no need for ongoing maintenance, simply fit, forget and reap the energy savings. Our LED lighting range is recognised as amongst the most brightest and reliable LED lights on the market and are rated for 50,000 hours and backed by a 5 year guarantee against failure. 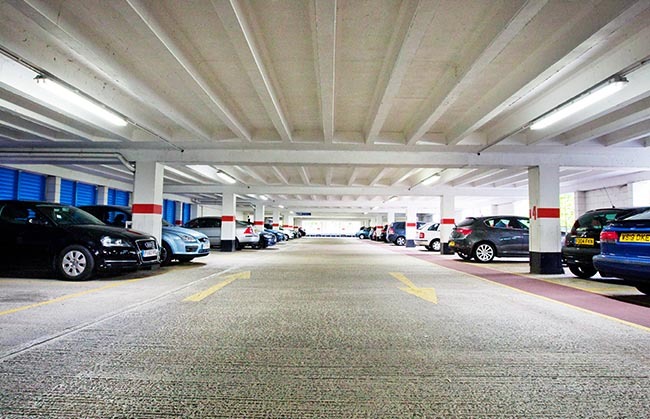 We have provided LED lighting solutions into many car parks, including underground, single and multi-storeys. 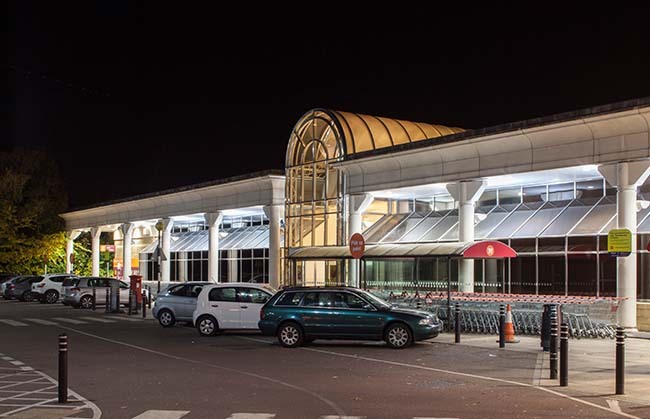 Our LED installations include British Airways, Crawley Town Centre Car Park, Farnham & Robertson, High Wycombe Car Park, King Edward Car Park and Sainsbury’s. 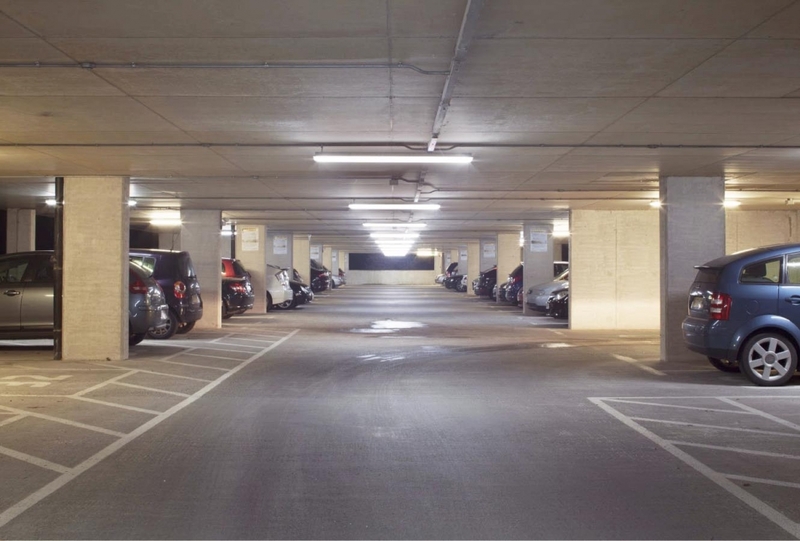 A new wireless lighting solution, Light Boss™, is available for car parks, allowing operators to monitor, automate, control and report on all connected lighting from a single interface. Light Boss™ can automate single or multi-site car park lighting triggered by occupancy or daylight – saving you more in the long run! 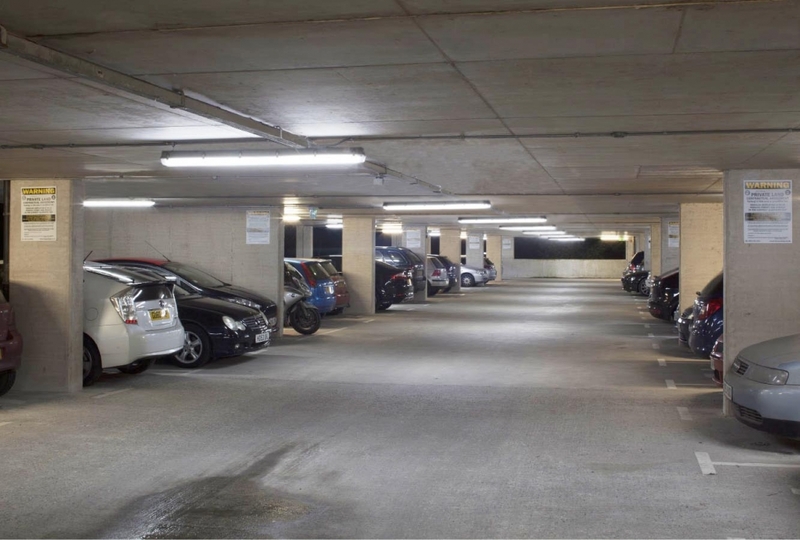 Light Boss™ dims down car park lighting when no one is around, or when it detects light, and turns back on again when it is needed. Compatible with all Goodlight LED luminaires, minimising energy consumption by up to 95%! It also provides Self-Test Emergency Light Monitoring, allowing operators to check for faults remotely. With downloadable reports, there is no need to test individual lights. Learn more about Light Boss™ here. 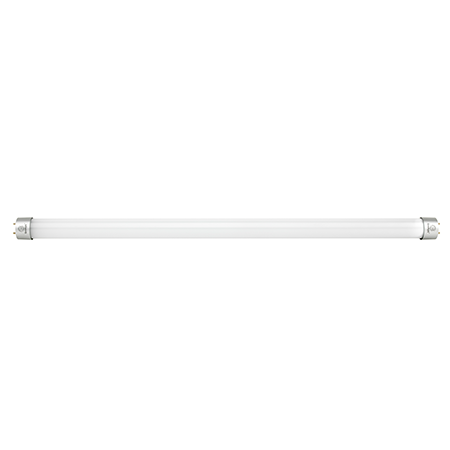 This linear LED Batten is a rugged, high-performance upgrade to fluorescent twin tube fixtures, providing a super-bright output of 110Lm/W. 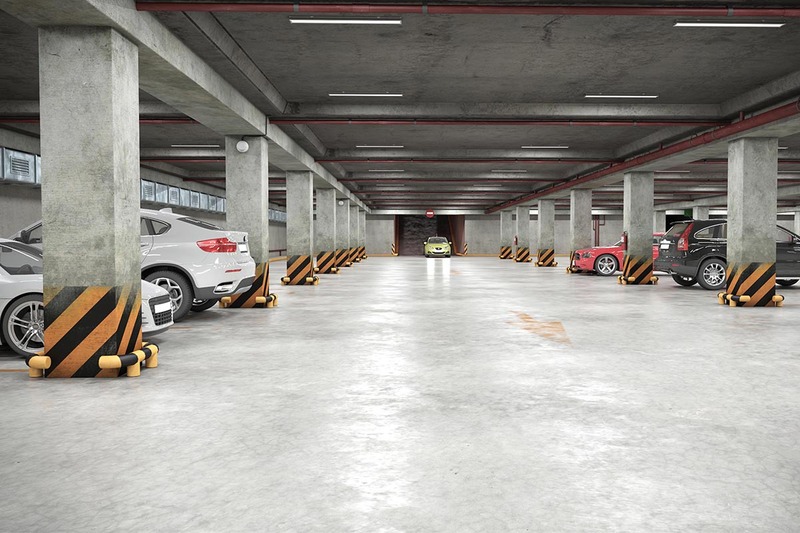 Featuring a high-density rubber seal, it provides protection from the elements including water ingress (IP65), dust, heat, corrosion and ice, making it suitable for both internal and external car parks. The G5 is a glass-free LED fixture, featuring a shatterproof PC lens that provides uniform, even light, transmitting over 95% light efficacy. Installation is fast – taking less than 10 minutes, making it the quickest LED Batten upgrade ever. Suitable for recessed, suspended or surface-mounted installation. Optional emergency back-up (3 hour) available. Available in many lengths. Learn more the G5 here. 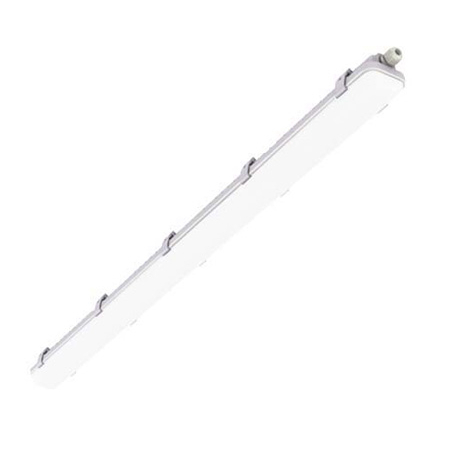 The Eco LED Batten is a tough replacement for fluorescent battens and tube fittings. 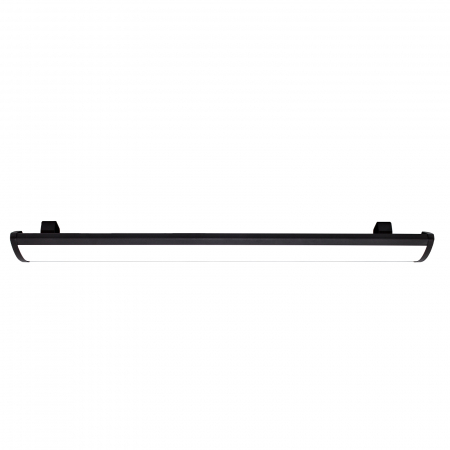 It is perfect for installing into car parks as it provides bright, ample lighting up to 110Lm/W. It is incredibly quick to install, featuring push-fit connectors for screw-free wiring. 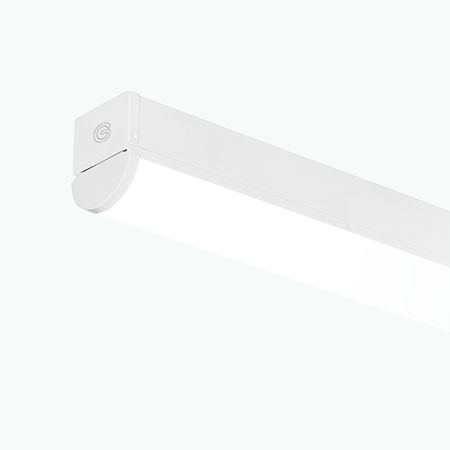 The Eco LED Batten is protected to IK08 and is glass-free. Additionally, it is waterproof to IP65, making it suitable for both internal and external use. It can be surface mounted or suspended. Learn more about the Eco Batten here. The GX2 is a performance-boosting Linear LED High Bay that is not only stylish in appearance but provides a super-bright output of up to 130Lm/W – ideal for illuminating large car park areas. It can be installed from 4m up to 15m, with installation options including suspended or surface mounted, delivering a consistent, even light spread. 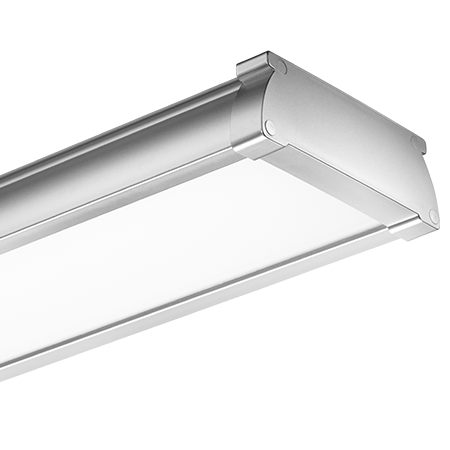 The GX2 Linear is a rugged High Bay that is completely glass-free and shatterproof, featuring a frosted PC lens, making it suitable for car park lighting. It is also protected from the elements – water, dust, heat, ice and corrosion. Incredible energy savings of up to 85% can be achieved. Learn more about the GX2 here. Upgrade your CFL 2D bulkhead to our Anti-Corrosive 2D LED Bulkhead, perfect for car park environments. 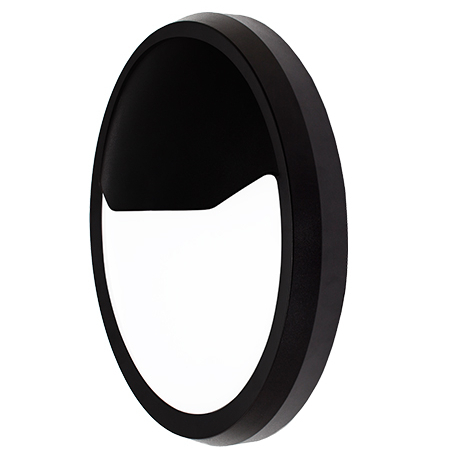 The 2D LED Bulkhead features a wide beam angle, delivering 80Lm/W brightness and can be fixed onto walls or ceilings, delivering light where it is most needed. Ideal for security lighting in corridors, stairwells, WCs and pathways. The 2D LED Bulkhead is IP65 protected, making it suitable for interior and exterior car park use. Installation is quick, featuring no visible screws and twist on/off covers. Microwave Sensor and Emergency Battery Back-up (3 Hour) also available. Learn more about the 2D Exterior here. 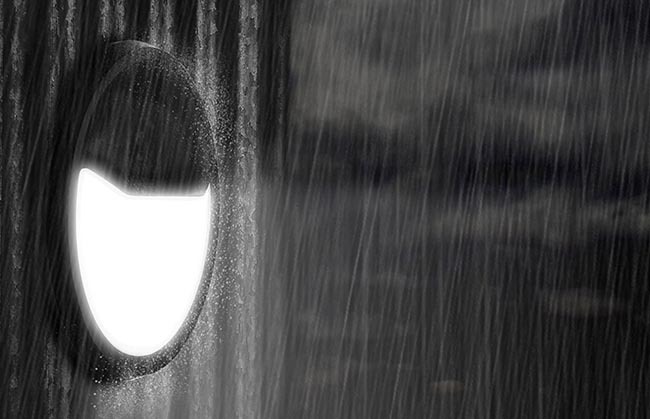 Our modern 2D LED Bulkhead has been designed for interior use, including car park stairwells and WCs, replacing traditional 28W and 38W 2D bulkheads. The 2D Interior is an IP54 rated bulkhead that features a V0 fire-rated PC cover and a wide beam angle, delivering 89Lm/W. 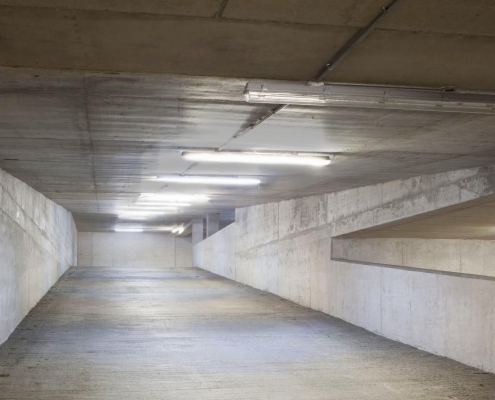 It can be installed onto walls and ceilings to provide bright, adequate light to dark car park interiors. Microwave Sensor and Emergency Battery Back-up (3 Hour) also available. Learn more about the 2D Interior here. Also known as ‘cob’ and ‘corn’ lamps, our G360 LED SON lamps are the perfect retrofit upgrade, allowing you to slot straight into IP rated fixtures or glass casings, with ease. 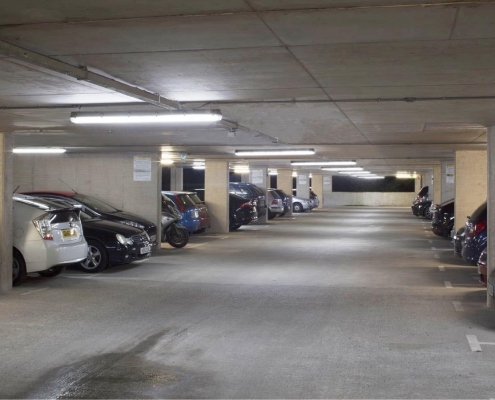 The G360 delivers high quality light output of 140Lm/W from its 360° beam angle, ensuring that all areas within your car park are no longer shrouded in darkness. Innovation lies in the core of the G360, featuring patented MagLev Fan Technology, which eliminates issues associated with traditional motor-based fans, allowing the LED chips to run up to 30% brighter! Learn more about the G360 here. The economics of LED lighting are extremely attractive. Based on energy savings alone, we are seeing a payback investment within four years. 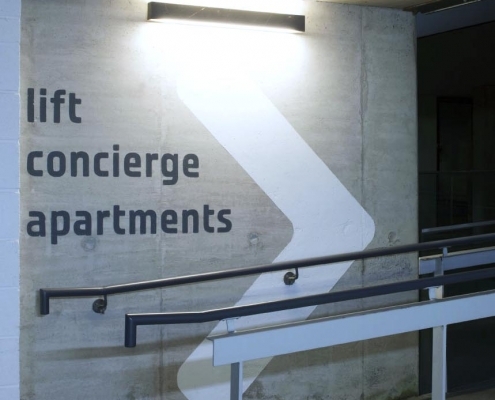 We have a lot of car parks and a lot of light fittings to cover, and they went out of their way to make the replacement process simple and straightforward. 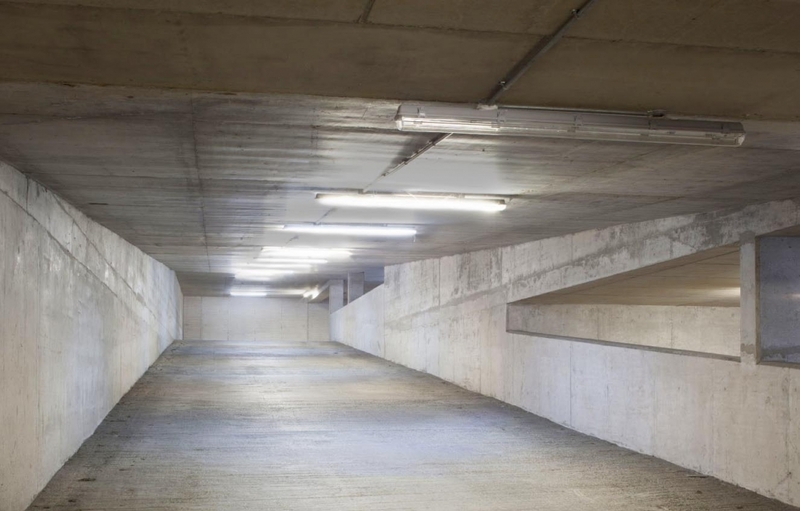 Have you got a Car Park Lighting project we can help you with?